Yamaha is getting back into turntables with three new models, one of which is right out there for a company steeped in the creed of audio excellence since 1954. 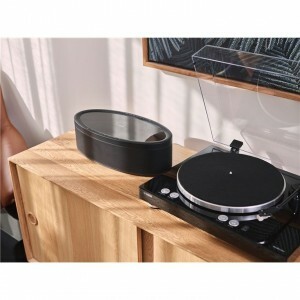 Turntables are the preferred platform of audio purists because, just like their ears, the operation is analogue from start to finish, but from next month Yamaha will offer a cordless turntable. Which of course means it’s digital. It looks and operates like a regular turntable, but after processing the analogue waveforms created by the minute movements of the stylus traversing the right and left walls of the record’s groove, it converts them to digital streams of ones and zeroes and transmits these to wherever they’re going by way of Bluetooth, AirPlay or Wi-Fi. Once there they are converted back to analogue to make sense to your ears. Now before you brand this device an instrument of the devil consider this; priced at $899 it’s not aimed at perfectionists. It will go to the hearts of young people and all those analogue wannabes who seek the turntable cool factor but also want the simplicity of a cable-free environment. Maybe it will also appeal to folk frustrated by the unfathomable hums that keep on happening with regular turntables. My current turntable hums when the earth is disconnected. My last one hummed when the earth was connected. A turntable can hum when the arm is too close to the amplifier. Or someone is opening a garage door. Or maybe it’s something about the phase of the moon. Call a hi fi installer and tell him your turntable hums and he’ll likely tell you he’s in Africa all day. The cordless Yamaha is called the Vinyl 500. It’s compatible with Yamaha’s multi-room MusicCast system and streams to anything with Bluetooth or AirPlay, or to anything in the MusicCast range including amplifiers, speakers and soundbars. It also streams from Spotify Connect, Deezer and Tidal. And there’s an olive branch for analogue fundamentalists. If you appreciate the sound of vinyl and fret about it being lost with a cordless connection you can connect a Vinyl 500 to the amplifier in the normal way with RCA cables and get all that analogue warmth back again. And it has a phono pre-amp built in so you won’t need one if your amplifier lacks a dedicated phono input. This flexibility means you can have the streaming that the turntable offers while also having sessions of true analogue by plugging in the RCAs. Also launching next month is Yamaha’s new entry level turntable, the $599 TTS303. This is a completely conventional turntable without the wireless capabilities of its $899 sibling, and also carries its own built-in phono pre-amp. If the amplifier has a phono plug the internal pre-amp can be bypassed by throwing a switch, meaning the 303 can be used in any hi fi set up. Both look like good value and they take the Yamaha brand into the heart of territory currently dominated by Pro-Ject and Rega. I’ll get back to you when I’ve had a listen. And for the purists, Yamaha’s GT5000 turntable is coming next March, priced somewhere around $8000.